Ideon put IEG on the fast track to own the sponsorship valuation category. 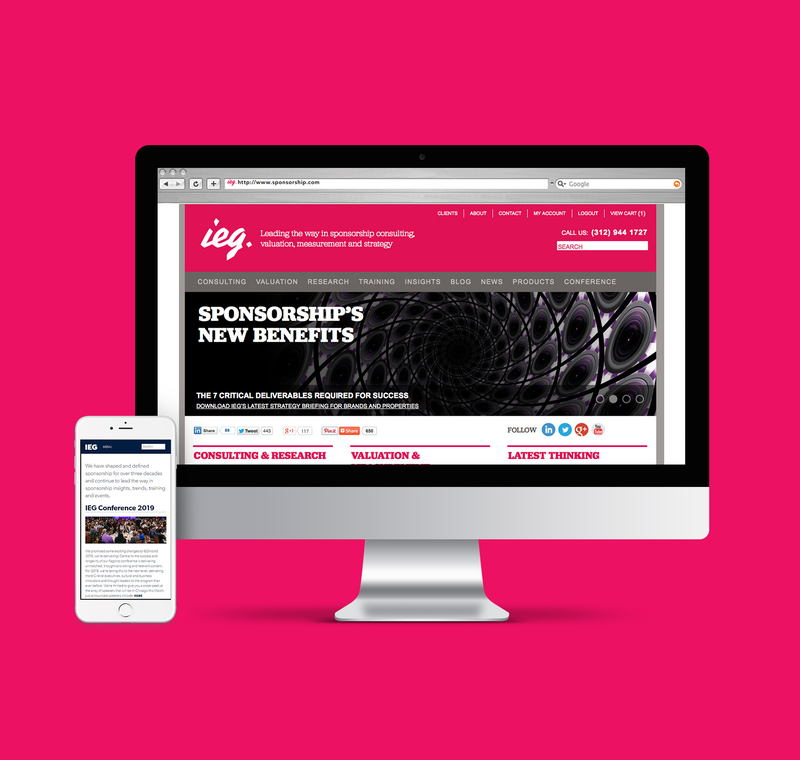 The Company—IEG is the global leader in sponsorship valuation and measurement solutions. Thirty years ago, it created the very idea of sponsorship and determined the standards and methods to value sponsorship properties, whether an opera hall or a sports stadium. The Challenge—Regain prior leadership position by leveraging IEG’s legacy equity into a more powerful, forward-looking specialist brand consultancy in a sea of me-too generalists, and to make it the most relevant and trusted by Fortune 1,000 Chief Marketing Officers with sponsorship properties to value (whether to buy or sell). The Insight—The power of branding to harness the past to drive the future. IEG owned significant equity and assets in a business, customers, a swiss-army culture, and WPP as a parent holding agency, but not a brand. Clarity: Associate more strongly with role as the sponsorship think-tank consultancy vs. an under-the-radar newsletter, webinar and conference educator and media provider. Currency: Align IEG’s brand and business, updating the internal business culture for the 21st century. Culture: Inspire IEG to break its Swiss-like internal culture, and become more focused on its role as the sponsorship think-tank consultancy vs. an under-the-radar educator and media provider. The Result—Engine Shop, the award-winning sports, and entertainment marketing agency, acquired IEG from GroupM/WPP, on July 23, 2018. 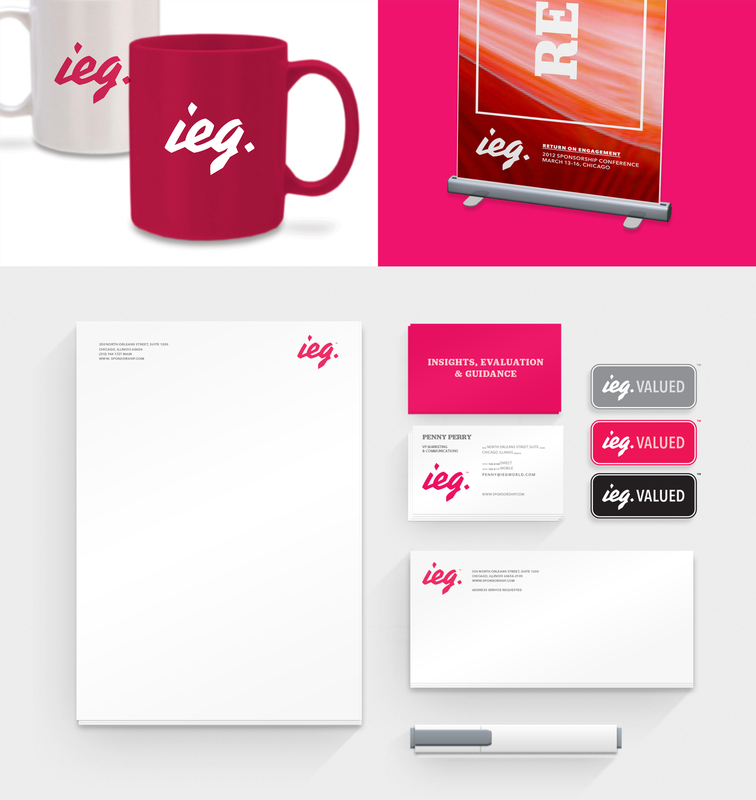 We created a logo inspired by IEG's modern, forward-thinking persepctive. Brand guidelines keep everyone on track. 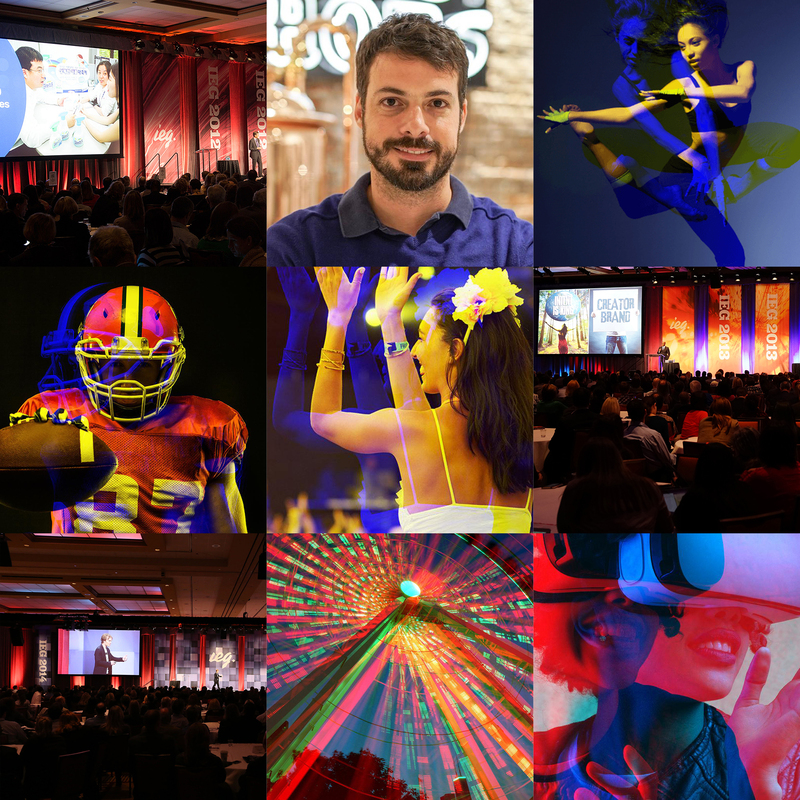 The new image strategy captures the vibrancy and excitement of the events IEG powers. We applied the new brand to a host of items, both for everyday use and environmental decor as needed. 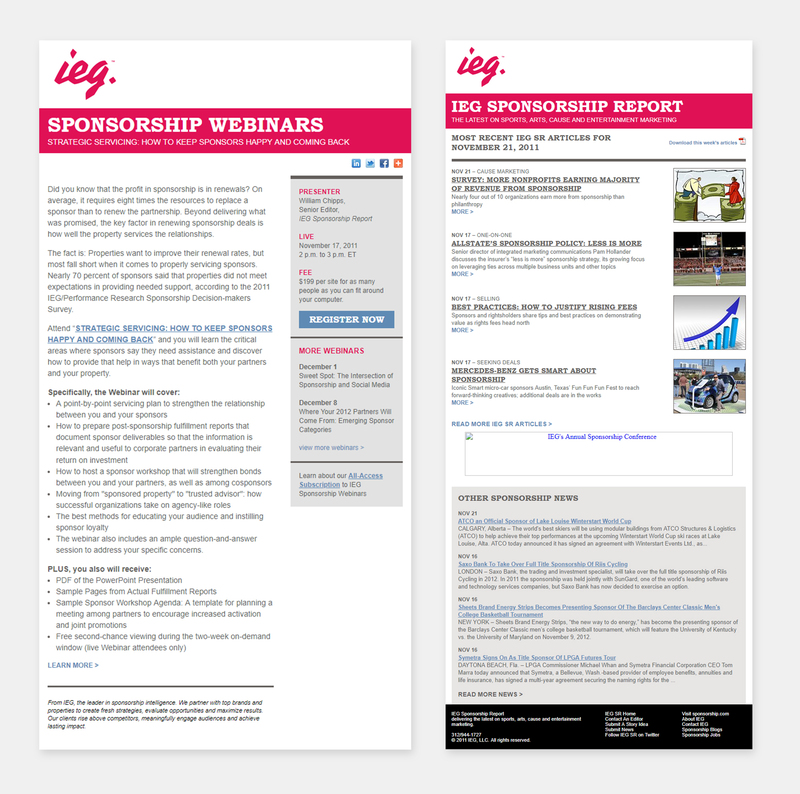 We created a newsletter template that focuses on how IEG can grow businesses. 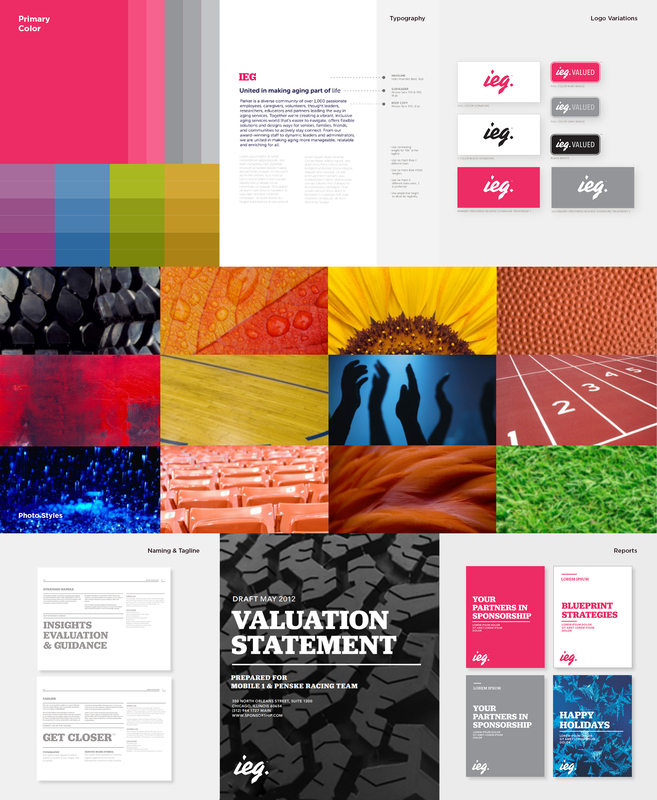 IEG's new brand, vibrant colors, and key messaging strategy revived its digital platforms.